Join hundreds of counselors, lay ministers, social workers, psychologists and psychiatrists who are part of the international email network for those involved with the Rachel's Vineyard process. Benefit from the collective wisdom of new and longstanding programs offering the Rachel's Vineyard weekend retreats for healing. Archives are available on issues like fund-raising, eating disorders, the alcoholic client, difficult cases, spiritual inspiration, follow up meetings and much more! 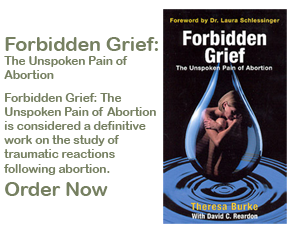 Find the knowledge and support to enhance your ministry to those suffering after abortion. To sign up contact: Lairen Vogan. Rachel's Vineyard offers consultation, clinical training and assistance for getting your program started and access to a network of professionals via the leadership e-mail group. We can send professional therapists or lay volunteers to help you run your first weekend.